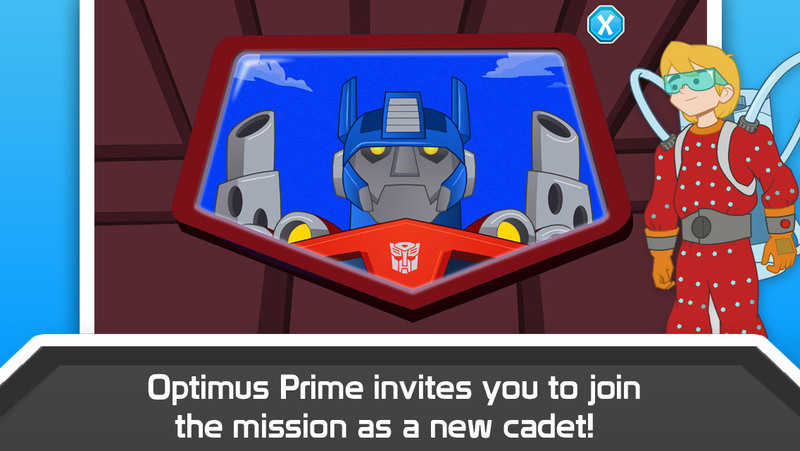 The TRANSFORMERS RESCUE BOTS have finally landed…in their first-ever interactive storybook app! Are you ready to join them on their rescue mission? When a new Sky Forest tower is constructed in Griffin Rock, the city finds itself under attack by ravenous plants! 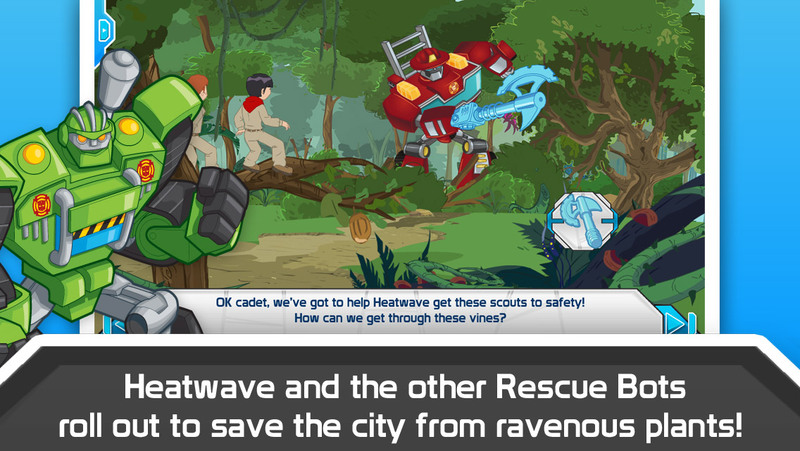 It’s time for the TRANSFORMERS RESCUE BOTS to roll to the rescue, but when they need help, who is going to save them? 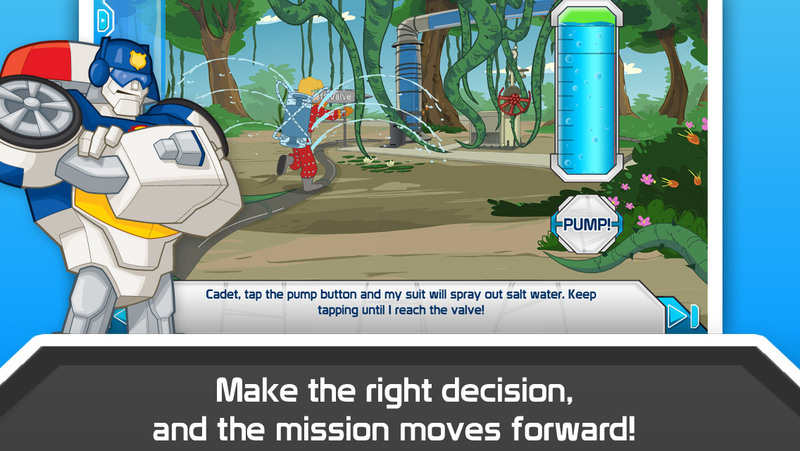 TRANSFORMERS RESCUE BOTS: SKY FOREST RESCUE is an interactive storybook adventure that puts early and emerging readers at the center of the action on every page. Optimus Prime introduces the story and invites the reader to join the adventure as a new cadet on the Griffin Rock Rescue team. The reader meets Cody and the rest of the Burns family as they work with the TRANSFORMER RESCUE BOTS to save the town and the Sky Forest from some very hungry vegetation! 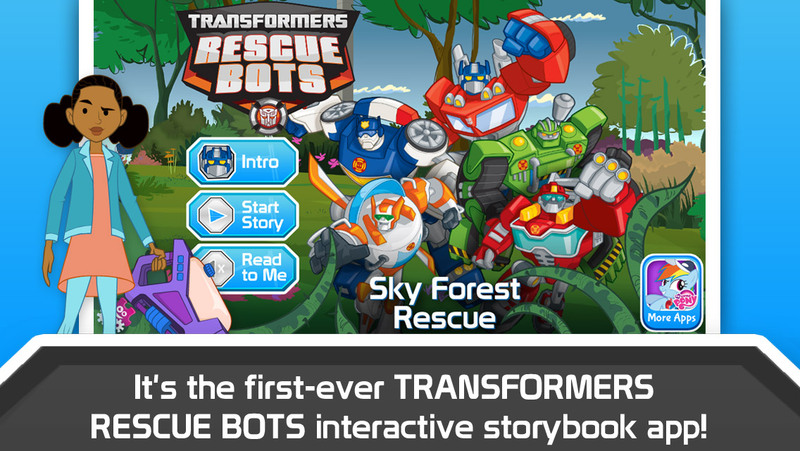 TRANSFORMERS RESCUE BOTS: SKY FOREST RESCUE is the latest interactive storybook app from PlayDate Digital, with #1 book apps in over 30 countries! It’s an exciting way for young readers to practice their skills while living an adventure! Interactive TRANSFORMERS RESCUE BOTS action and voices on every page! The entire Rescue Bots Team, Blades, Boulder, Chase, and Heatwave change modes at the touch of your finger. You are at center of the story! Quality animation brings story live! 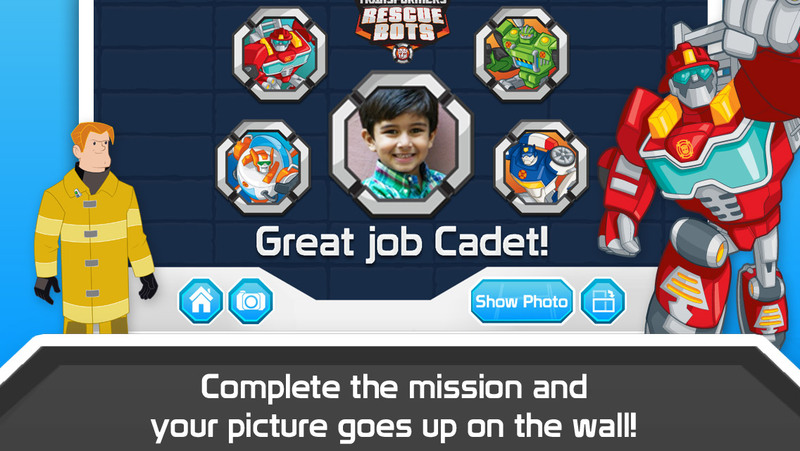 Take your picture with the TRANSFORMERS RESCUE BOTS when you complete the mission! Assist young readers’ critical transition from learning to read to reading to learn.